Plant life strategy, habitats and ecological associations, original biochemical constituents, and the nature of depositional regimes have an effect on plant part representation in subfossil (< 10,000 YBP) and fossil assemblages. NECROLOGY - Generally thought of as the Death of an individual. In most cases, entire plants DO NOT die in toto, but shed parts during their life cycle. These parts have the greatest potential for preservation within the stratigraphic record. There are three process categories under which plant parts may become subject to fossilization. NECROLOGICAL - The actual death of an individual or loss of vegetative and/or reproductive parts. Low stature plants are subjected to preservation in their entirety when existing in areas of high depositional rates. Arborescent plants may be preserved in situ (in growth position) when subjected to anomalously high depositional rates. These ultimately cause the DEATH of the individual. Vast quantities of biomass are lost from a parent plant either through physiological or traumatic mechanisms without necessarily causing plant death. These plant parts include the majority of specimens that become our data base. PHYSIOLOGICAL - The loss of plant parts in response to a biotic mechanism. TRAUMATIC - The loss of plant parts in response to an abiotic (physical) mechanism. Provides a high quantity of biomass in geologically instantaneous events. 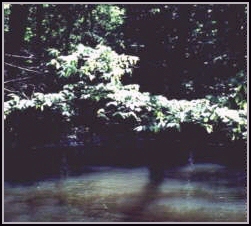 Defoliation during high winds and rainfall (hurricanes, typhoons). Synusial (diversity of growth habits), histological, and morphological features of the plants are important with regard to contribution to fossil assemblages. The timing of plant part loss (either physiologically induced or climatically induced) when coupled with anomalous, high-rate depositional events may bias the sample population of organs. Most canopy litter generated is decomposed at a rate that is dependent mostly upon climate. Plant parts must be introduced to, or already reside (e.g. rooting structures) within, sites that are conducive towards preservation. These sites reduce the probability of biotic interactions usually by their inhospitable conditions. BIOSTRATINOMY - The interaction of plant parts with sedimentary processes and the ultimate burial and incorporation of macrodetritus in sedimentary rocks. Autochthonous assemblages - This refers to the preservation of plants either in situ (in growth position) or in their site of growth. The only transport that may be implied is the fall of the canopy parts to the sediment interface below. Underground parts (roots, rhizomes, root-like structures) are already buried and if conditions are amenable for preservation, they may be fossilized by a variety of mechanisms. 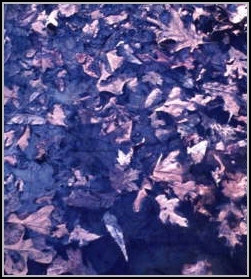 Rooting structures may be shallowly or deeply implanted in the substrate. Those that are generally shallow are most likely not to be preserved, whereas those that are more deeply buried during life have a greater likelihood of preservation (bodily preservation including permineralizations; coaly film in a collapsed root; casting; drab halos; rhizoconcretions). Erect aerial parts are linked to high-rate sedimentological events including volcaniclastic burial, mudflows, valley infilling, and catastrophic flooding. Burial in vertical orientation may or may not be a valid criterion for identifying autochthonous assemblages. Parautochthonous burial - This implies a minimum of transport from the site of growth; those having been transported from the death or discard site but remaining within the original habitat before burial and preservation (see: Behrensmeyer & Hook, 1992). Allochthonous assemblages - This involves the transport of plant parts away from their site of growth before burial. Transport is facilitated either by wind, water, or a combination. Mass movements in certain environments of deposition may entrain macrodetritus and transport it significant distances. BURIAL - involves the covering and/or inclusion of plant detritus within a sediment such that the organic matter is isolated from the effects of biological degradation. Burial can occur over geologically instantaneous intervals, or over longer periods of time. The structural integrity and resistance to degradation of any particular plant part will ultimately determine its residence time and potential for long term burial. DIAGENESIS - Processes involving physical and chemical changes in sediment (and that which is incorporated in the sediment) after deposition that converts it to consolidated rock. This includes compaction, cementation, and recrystallization. Pore-water interactions may be occur early, soon after burial. Very early diagenetic interactions (10-0 to 10-1) may result in siderite concretions or pyritizations. Longer term interactions (10-3 to 10-5) may result in permineralization, lignification (coalification requires longer time intervals under elevated temperatures and pressures), and compaction.